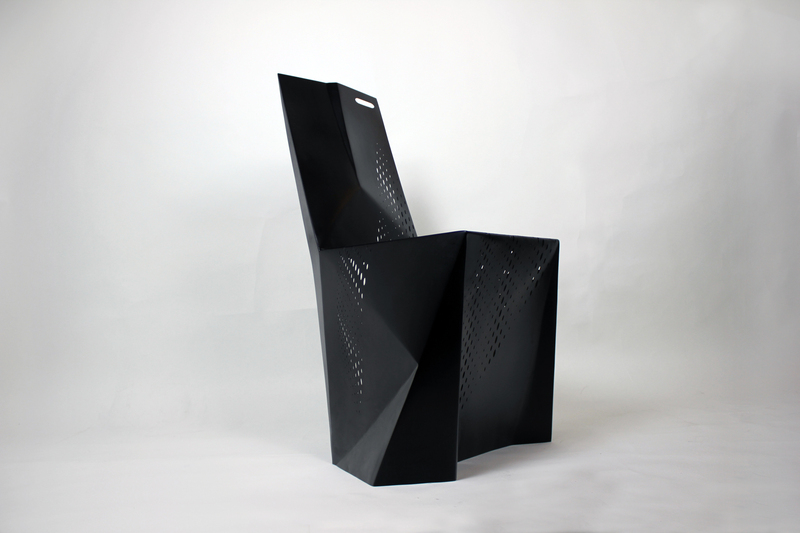 The Sylki chair is super lightweight, engineered and fabricated to be extremely solid and takes the art of seating to the next level. 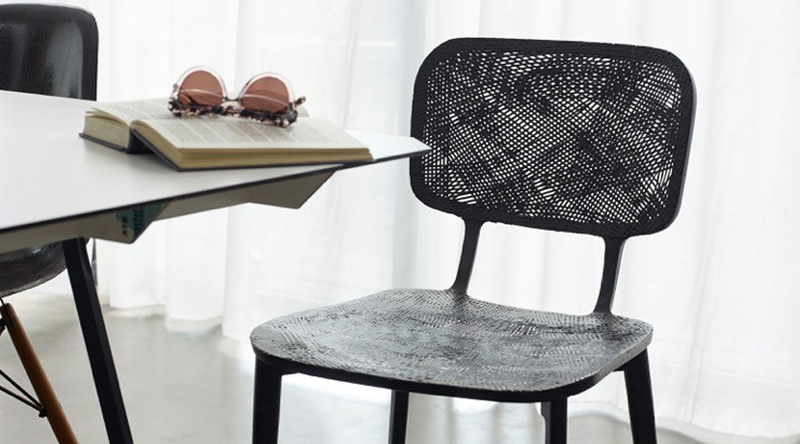 The chair is made of a single sheet of 100% super thin recycled metal. 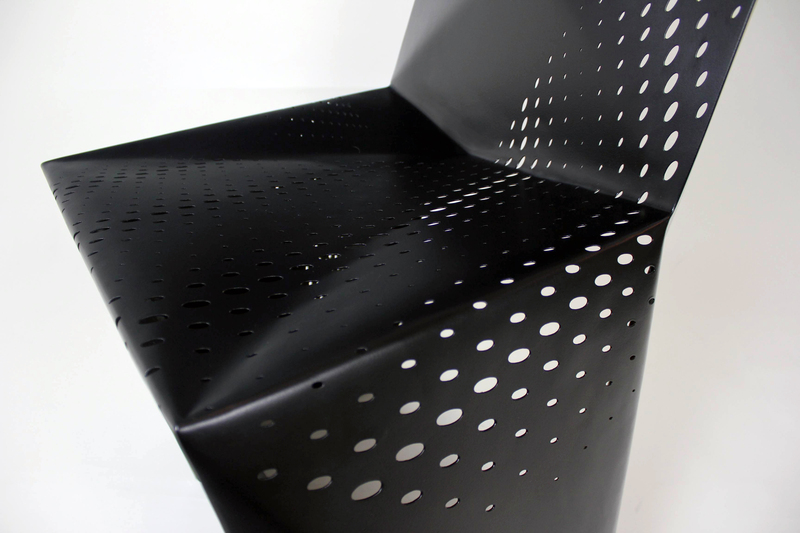 Making it out of a single piece of metal reduced the number of welds that went into the chair. It weighs less than a bottle of wine, but can support up to 250 lbs. 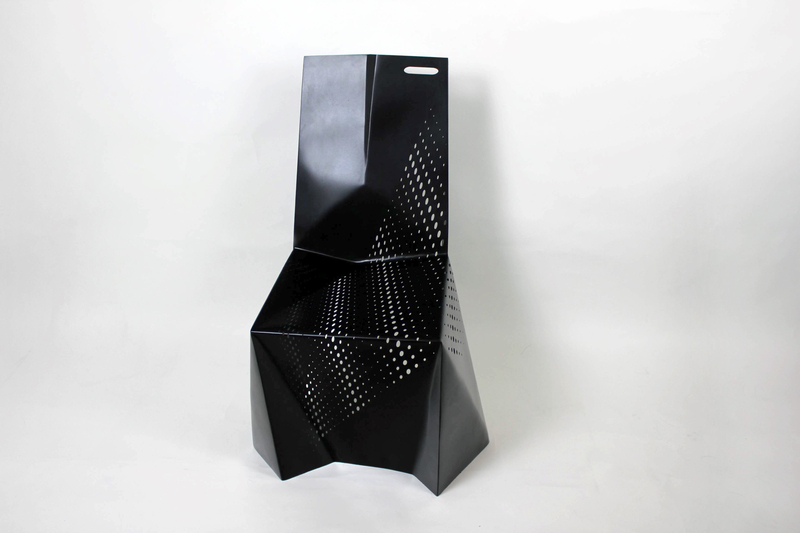 The idea for this concept originated with Brooks Atwood, Assistant Professor of Industrial Design at NJIT and Principal of POD Design, “The main challenge of the Sylki chair was making a material transcend its original intention. How can I make something extremely become extremely strong? 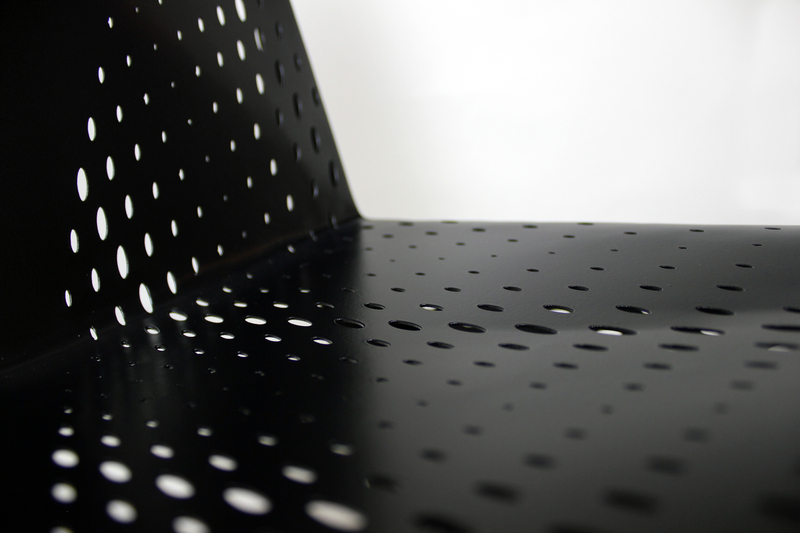 The goal was to create a balance or harmony between making the chair and reducing costs and waste. 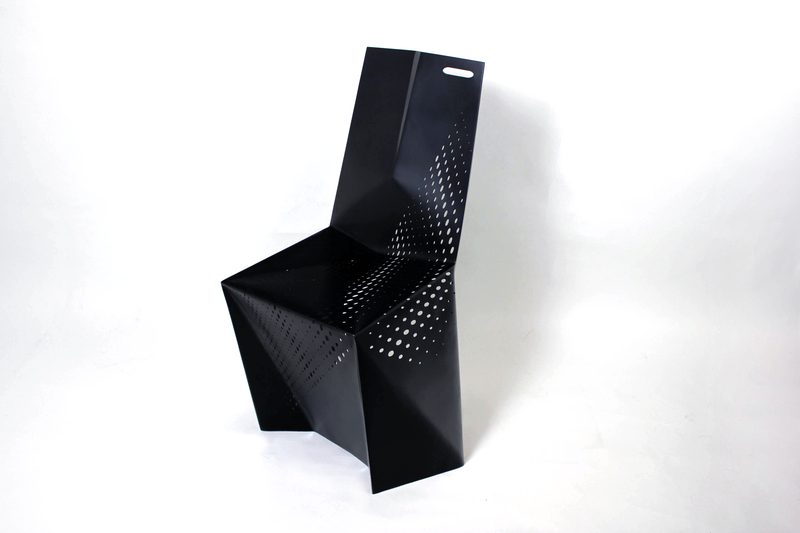 I wanted to engineer a chair using the thinnest possible material through a highly specific series of folds and bends. I wanted to use a single piece of metal and I wanted to use technology in a way that not only supports customization but also allows for maximum efficiency. 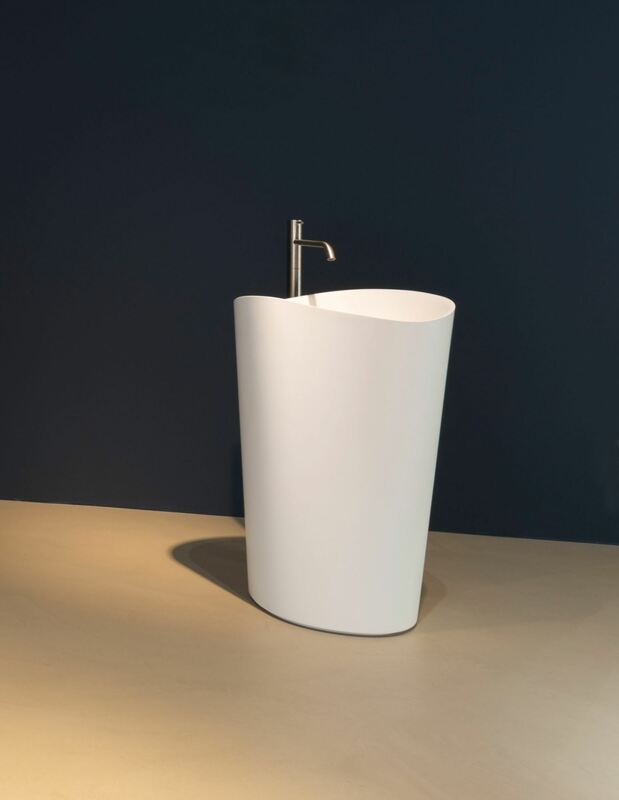 As with our other projects/products, we collaborated directly with the manufacturer in order to challenge the traditional methods of fabrication and also to see how far we could push the design.